Guardall is truly Australia’s very own quality safe specialist. Our staff members style and design our very own solutions and have them produced under the most stringent of quality regulations. Guardall offers you a safe for every single purpose; homes, businesses through to banks; all to keep your posessions safe from thieves and flames.Look through this online site so that you can see the safe that you feel satisfies your own requirements, and call us right away for the Guardall choice. Phone 1300 1 SAFES (1300172337) for you to be patched through to the nearest Guardall Preferred Rep.Investing in a safe for ones home or business is actually a good way to safeguard ones valuable items. There are numerous items available but the best choice is determined by what you actually will need to safeguard, the risk as well as the degree of security you may need.When robbery may be a worry, opt for a product that may be anchored tightly to your house or office for the greatest security measure. If fire protection will be your top priority consider the flame resistance score. With regard to storage devices including data cassettes and discs, decide on a media safe utilizing dry fill construction which does not release water vapour. Setting up a safe at your residence or perhaps business premises can have amazing benefits in bringing down insurance costs. 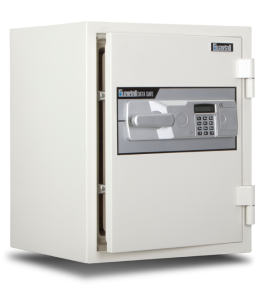 Check with your insurance agent to see if your brand-new safe or vault will make you elegible for rate reductions. Whichever solution you choose, think about your options very carefully and work out the best selection to defend your valuable items. Or even less complicated, contact us and we shall help to guide your choice making procedure. The one time you require that security you will know it was time wisely spent.